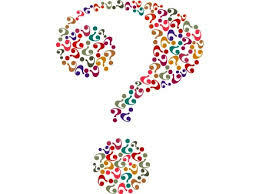 Skin Fact Quiz – The truth may surprise you! As part of my apprenticeship I get quizzed all the time. I read facts, myths, and theories all day. Today, I thought I would put together one of my own for you! Here are several facts and myths that I found interesting. One of the four statements below is true; the others are false. Take a guess, which one is true? Shaving makes hair grow back thicker. The higher the SPF, the better the protection. Your skin makes up 16% of your body weight, up to 20 pounds. If you guessed that shaving makes hair grow back thicker, you are…incorrect. After shaving the blunt hair growing back looks thicker, but it’s the same size as it was before. If you decide to try waxing, the entire follicle is removed. The hair coming back grows in different cycles, making it appear thinner. Your hair will also take longer to grow back than shaving. Now, if you guessed that chocolate causes acne you are, wrong again. Sebum getting clogged in the pores of your skin is what actually causes acne, not chocolate so you don’t have to give up chocolate completely for clear skin. Eating dark chocolate is actually beneficial for your skin because it contains antioxidants. The higher the SPF the better the protection, that’s gotta be it right? Nope sorry! The SPF refers to the amount of protection the product offers from only UVB rays. An SPF of 15 screens out 93% of UVB light. An SPF of 30 screens out 97%. Anything higher than that doesn’t really do anything more. You need protection from both UVA and UVB rays; you should look for a broad spectrum sunscreen which protects from both UVA and UVB rays. Hard to believe that skin weighs 20 pounds isn’t it? But that is the correct answer! Skin makes up about 16% of your total body weight and is about 22 square feet, which is about the size of a standard doorway. Skin is the largest organ in your body which is why we need to take care of it. Were you just as surprised as I was? 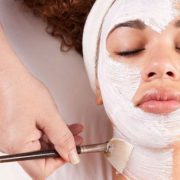 There are so many interesting things about skin, which is why I decided to become an esthetician. It’s always good to do your research so you can decide what to believe and what not to! 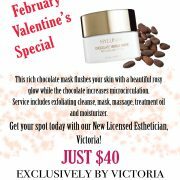 Why you should get a Chocolate Facial! You're an Esthetician... What's That? 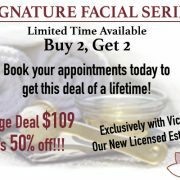 Special: Signature Facials Buy 2 Get 2! 50% off Limited time Only!